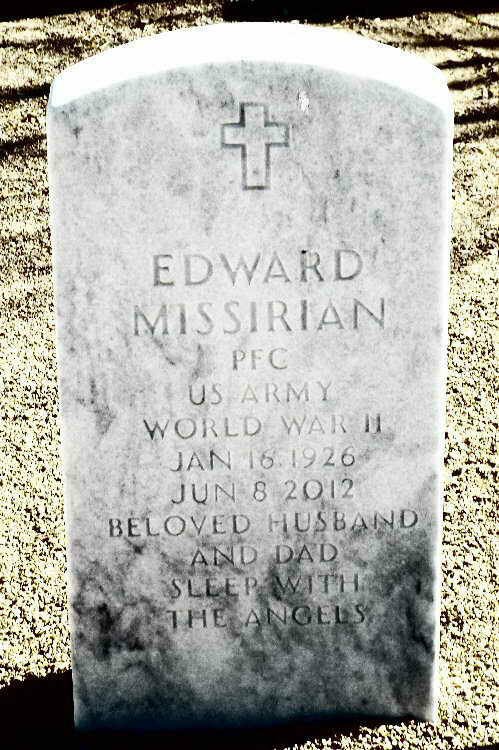 Grave marker for Edward Missirian in Section M1, Site 117, Fort Bliss National Cemetery, El Paso (El Paso county), Texas. Edward, a native of Turkey, enlisted in the Army at Boston, MA on 8 August 1944. On 23 October 1945, Pfc Missourian was transferred from the 101st Airborne Division to Company F, 508th PIR.